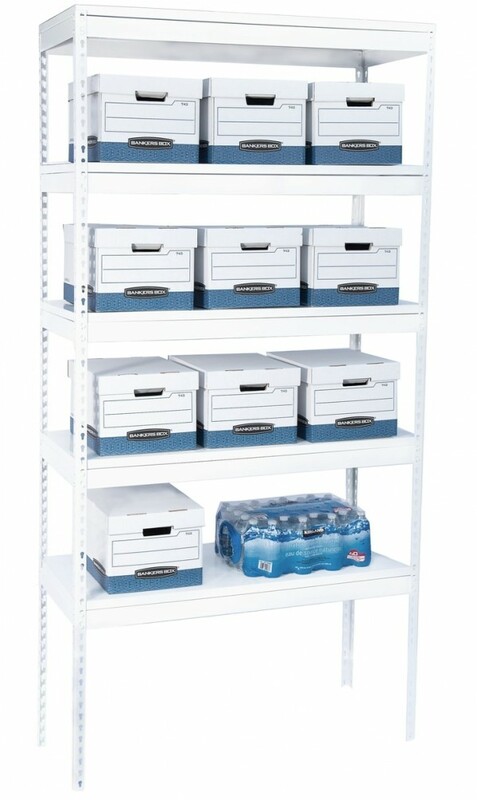 Utility steel shelving - 48 x 16 x 95"
Sleek and stylish - suitable for all uses, including retail stores, offices, garages, and more! •	The entire unit is made of 1.8mil thick INDUSTRIAL STRENGTH STEEL (no cheap particle board for panels). 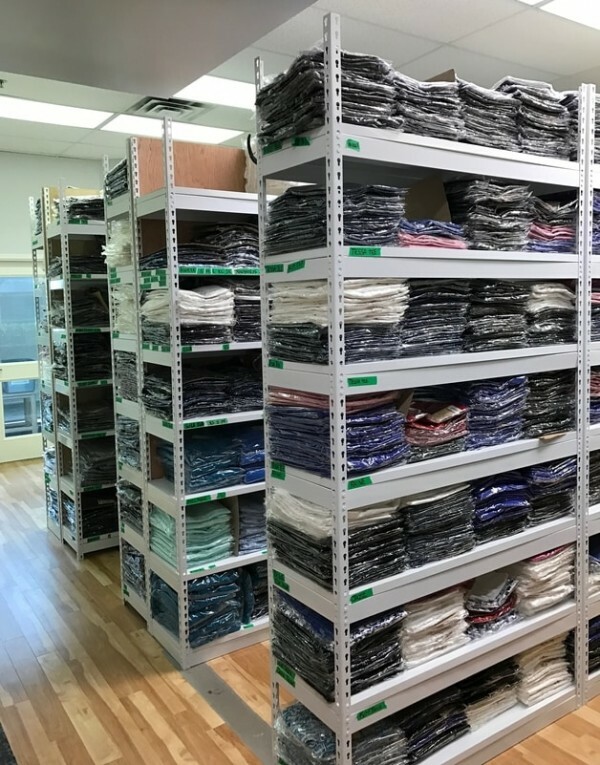 Similar units from Big Box stores use 1mil or less. 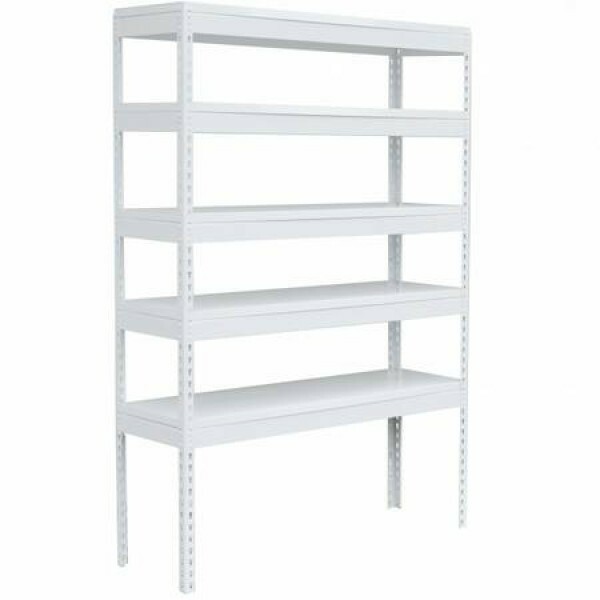 •	STURDY AND TOUGH – does not wobble when assembled – rated for 900 Lb per shelf capacity evenly distributed. 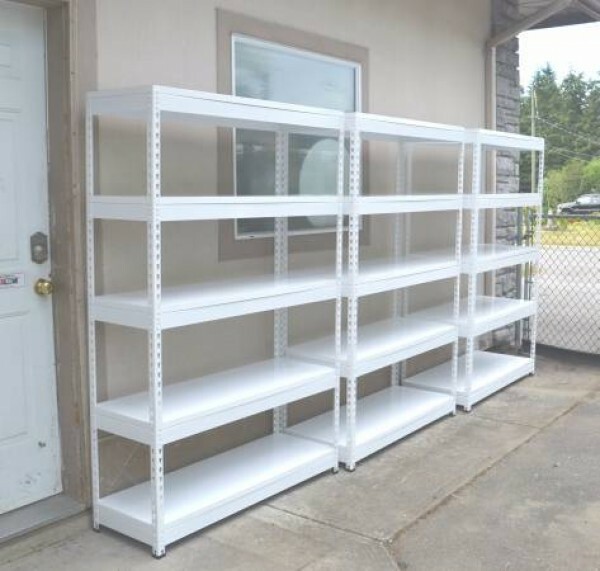 •	These units are made from "single piece uprights". 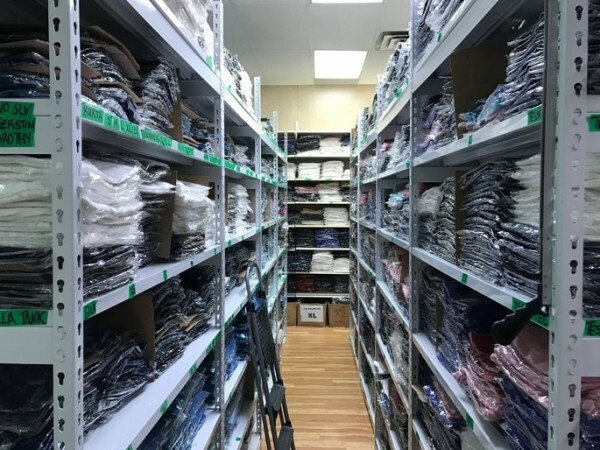 Compared to other "two piece upright" shelving, our shelves are easier to assemble, and much stronger considering the uprights are most critical part of shelving. 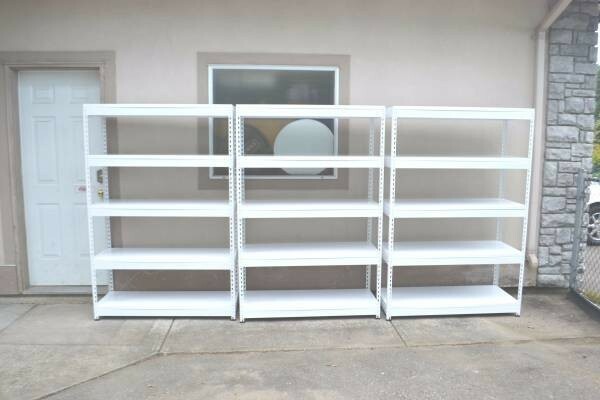 •	Our shelves are LIGHTWEIGHT - compared to wooden shelves our pieces can be handled all by one person. 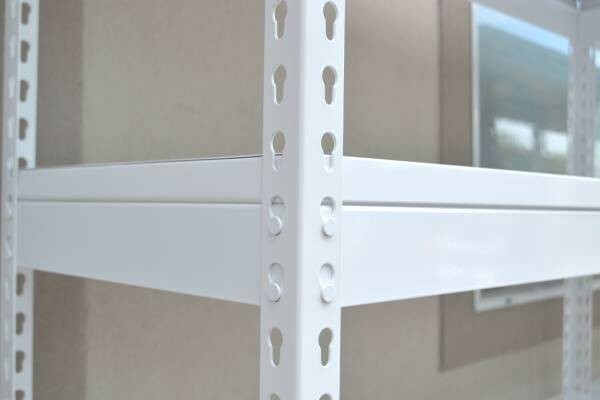 •	The shelf levels are FULLY ADJUSTABLE and configurable, add as many as you need for your usage. •	ELEGANT BRIGHT WHITE colour reflects available light, brightening up dark warehouse or garage spaces. •	The units are very pleasing to the eye – GREAT LOOKING even for office and retail use. Many of our customers use them in their storefronts! 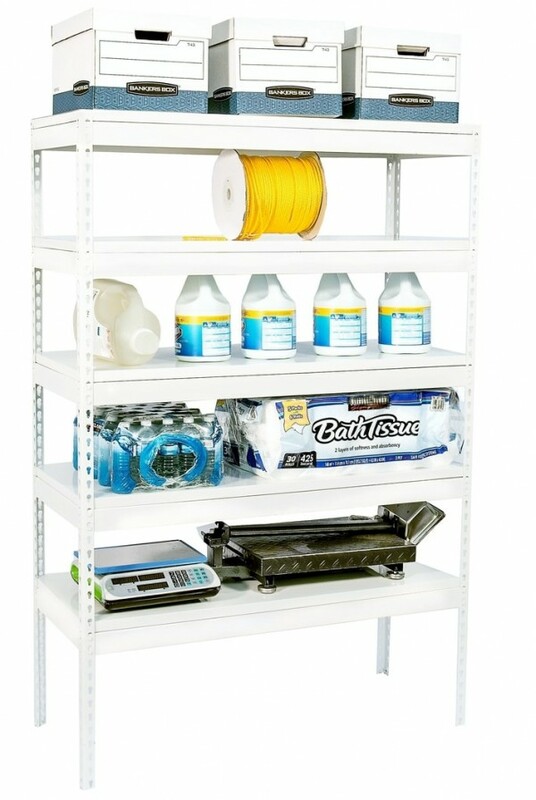 •	Completely smooth shelf levels make it easy to slide items around, not wire grid shelving which can snag easily. •	ASSEMBLES IN MINUTES with no tools required (a rubber mallet is helpful but not necessary). Includes plastic feet to help protect your flooring.